The Public Lands Service Corps Act is currently a bill moving through Congress. If passed, the Act will help expand conservation service opportunities for young people – including returning veterans. These expanded opportunities will help repair, restore and protect our national parks, forests and oceans while training the next generation of conservation leaders. Download our PLSC Act fact sheet. 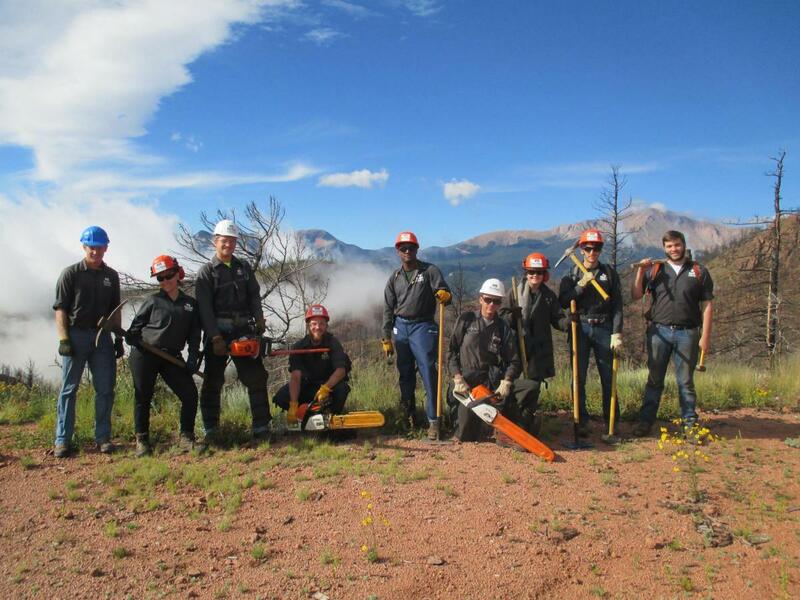 Why do we need the Public Lands Service Corps Act…? – We face a historic wave of land managers retiring, with 38% of Interior’s workforce and 35% of USDA’s workforce eligible to retire within 2 years. – Federal agencies must increase ethnic diversity among their employees to better reflect the American population. To amend the Public Lands Corps Act of 1993 to expand the authorization of the Secretaries of Agriculture, Commerce, and the Interior to provide service opportunities for young Americans; help restore the nation’s natural, cultural, historic, archaeological, recreational and scenic resources; train a new generation of public land managers and enthusiasts; and promote the value of public service. History and Update of PLSC Act. 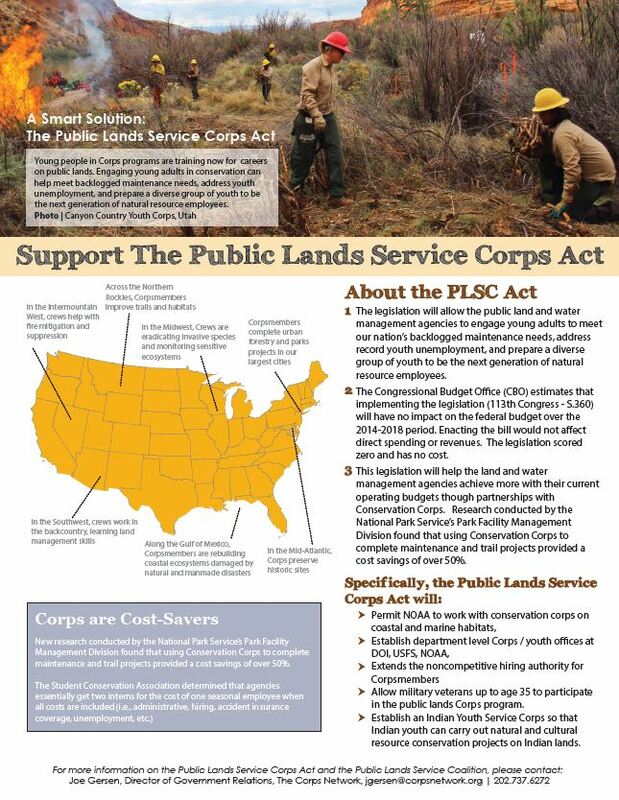 The PLSC legislation amends the Public Lands Corps Act of 1993 (part of the National and Community Service Trust Act of 1993) to expand the opportunities to put more young people –including returning veterans –to work through service, provide them with much needed job skills during a period of high unemployment, and preserve and protect our public lands. The bill is sponsored by Senator Bingaman in the Senate and Representative Grijalva in the House and has bipartisan support. In the 111thsession, the bill passed the House (with a few poison pills) and had a hearing in the Senate. Had there been an omni/minibus lands bill during this session, we believe that our bill would have been included and passed. In this session of Congress, the bill has been marked-up and made it out of the ENR Committee in the Senate and has had a hearing in the National Parks, Forests and Public Lands Subcommittee in the House. We currently are working with various coalitions to get Republican support in the House to try to get the bill out of the Natural Resource Committee so that it will have a chance if a lands bill is passed during the lame duck session. The landmark Public Lands Service Corps (PLSC”) (H.R. 1612; S. 1442) legislation was introduced in the House on March 19, 2009, by Representative Raúl M. Grijalva and Representative Nick J. Rahall, and in the Senate on July 10, 2009, by Senator Jeff Bingaman and Senator Olympia Snowe. 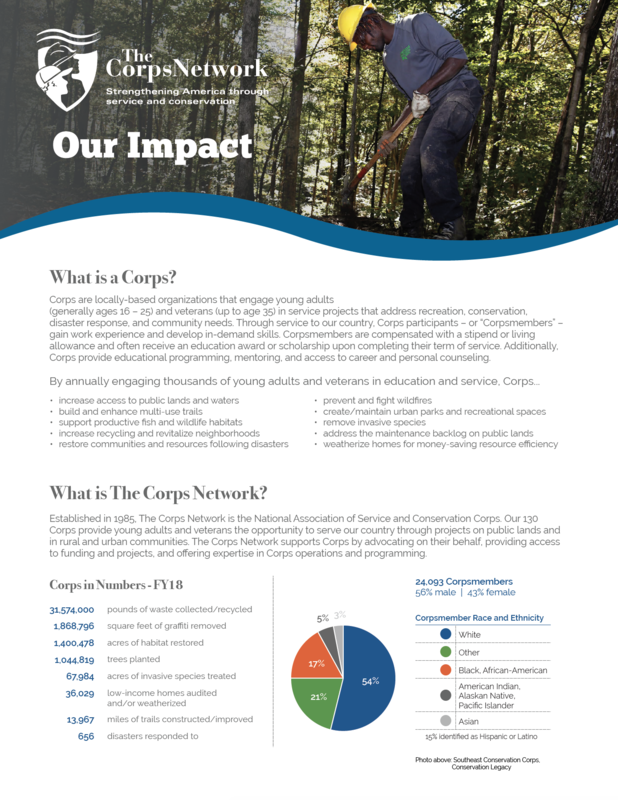 The legislation amends the Public Lands Corps Act of 1993 (“PLC”) to expand conservation service opportunities for young people to help repair, restore, and protect our national parks, forests, and oceans, while training the next generation of conservation leaders. – promote the value and ethic of conservation service on public lands. Both bills would extend authorizations to the Department of Commerce and the National Oceanic Atmospheric Administration (NOAA). With the inclusion of NOAA, corps participants would be able to work in the National Marine Sanctuary System, coral reefs, and other coastal, estuarine, and marine habitats, and other lands and facilities administered by NOAA. The legislation also would authorize the Secretaries to: (1) establish residential conservation centers; (2) provide temporary housing for the Corps and residential conservation centers; (3) seek assistance from the Secretary of Energy in identifying and using green building technologies and modular housing designs for such facilities; (5) recruit mentors for Corps participants; and (6) provide noncompetitive hiring status for corps participations under certain conditions. In addition, the legislation would create “consulting interns” –graduate and professional students –who can be placed with land management agencies. Further, the PLSC would require each public land management agency to establish an office and designate a person to coordinate such activities. Finally, the Senate version of the bill also creates a new grant program to fund an Indian Conservation Corps to carry out certain projects on Indian lands. The provisions also would establish a liaison to provide outreach to tribes about contracts and grants for establishing Corps programs on Indian lands and coordinate with the tribal liaison of the Corporation for National and Community Service in establishing Corps opportunities on those lands.